UK – Panasonic Business has opened the doors to its new Customer Experience Centre in Bracknell, showcasing its range of cutting edge B2B solutions both physically and virtually. Situated at the new UK headquarters on Western Road, Bracknell, the Customer Experience Centre is experienced as two zones. 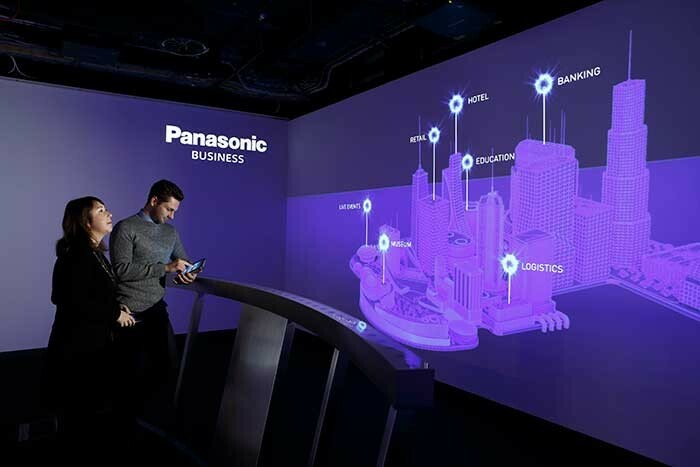 The first is an immersive 270 degree interactive presentation space, built around eight separate virtual vertical environments, and a demonstration space that allows customers to get hands-on with the latest Panasonic technology. The showcase delivers a ‘blank canvas’ for innovation, designed to spark conversations around how Panasonic can solve business technology challenges. Featuring AV design and integration by Sysco Productions, concept development by AB Creative, and content and physical build by Hart Wilcox, the Customer Experience Centre features over 100 items of technology, with the presentation space squeezing an impressive nine laser projectors in to just 50m2 in order to achieve a fully immersive feel. Powered by two disguise 4x4pro media servers, the customer’s name is skilfully integrated in to the content in real time, to personalise the experience. 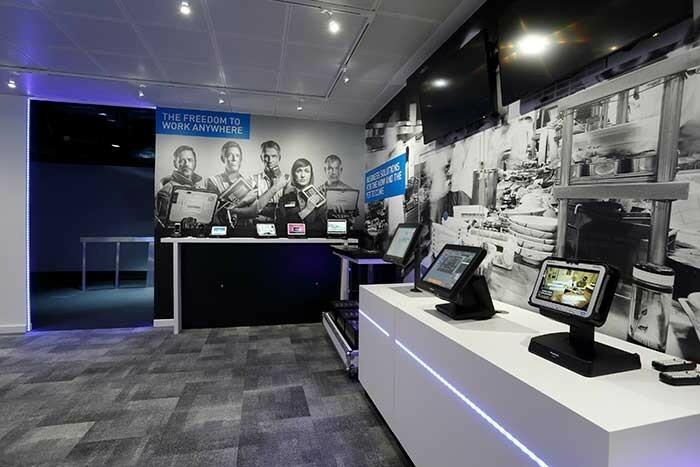 Among other things, the Experience Centre features the latest in Panasonic retail technology, including digital signage displays, electronic price tags and automatic stock monitoring, which uses CCTV analytics to detect low and no stock on shelves. In addition, a fully demonstrable lecture capture system automatically tracks a presenter, giving universities the ability to automate the recording of teaching sessions. All visitors are handed a 5” Android Toughbook rugged handheld on which a dedicated app allows them to select content of interest, ranging from white papers to brochures and introductory videos, via cleverly integrated NFC tags throughout the experience centre. These case studies are then emailed to the customer for follow-up, back in their office. A smart security section features the latest in modern analytics software. A range of indoor and outdoor surveillance cameras are equipped with an upgraded facial recognition platform which features a ‘deep learning’ core engine that has ranked as the industry’s most accurate in independent testing by NIST. The Face Server can identify faces that are difficult to recognise using conventional technology, including those partially hidden by sunglasses and face masks. A range of Toughbook rugged notebooks and tablets is also on show, with a rugged resistance test station, which allows water ingress, drop and impact testing of the range. 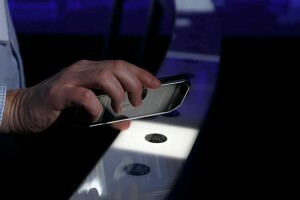 “We are bringing the latest technology for retail, transport, logistics and entertainment in one place. We hope to immerse visitors into our Panasonic world, inspire their creativity and ultimately prove our solutions can strengthen their business in an increasingly competitive landscape,” added Simon Grantham. 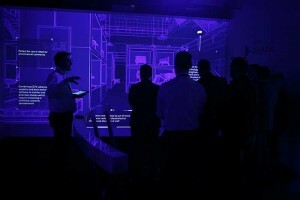 The Customer Experience Centre is built around a newly launched B2B brand proposition ‘Freedom through innovation’, which is the belief that the future is about better connected technology. That businesses will succeed if they can simply focus on their customers, in the knowledge that the technology solution delivering their capabilities just works, and works together.